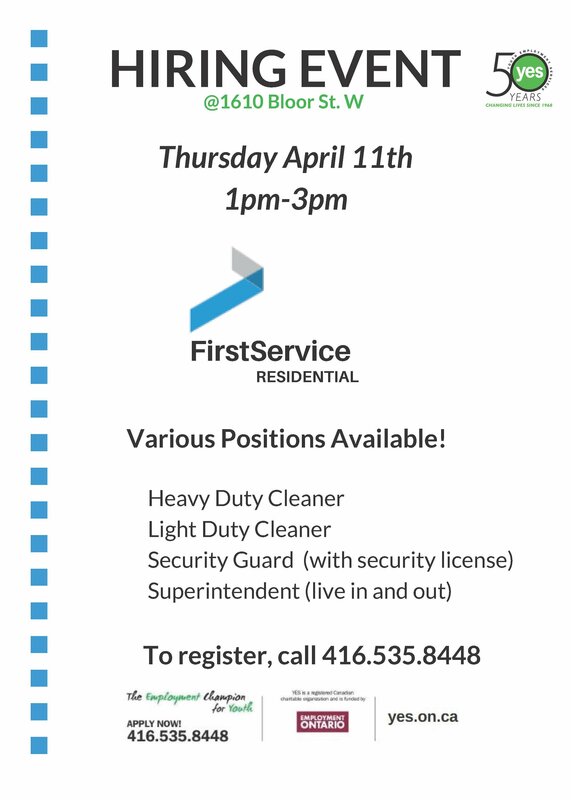 FirstService Residential is looking for new staff to join their team! Various positions are available. Call 416.535.8448 to register for this event at our 1610 Bloor St. office.